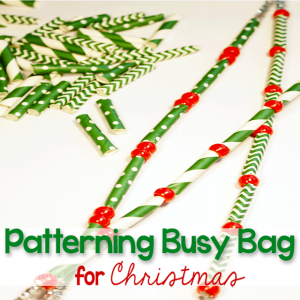 In preparation for January, I put together a busy bag for my 1st grader to work on patterning skills. 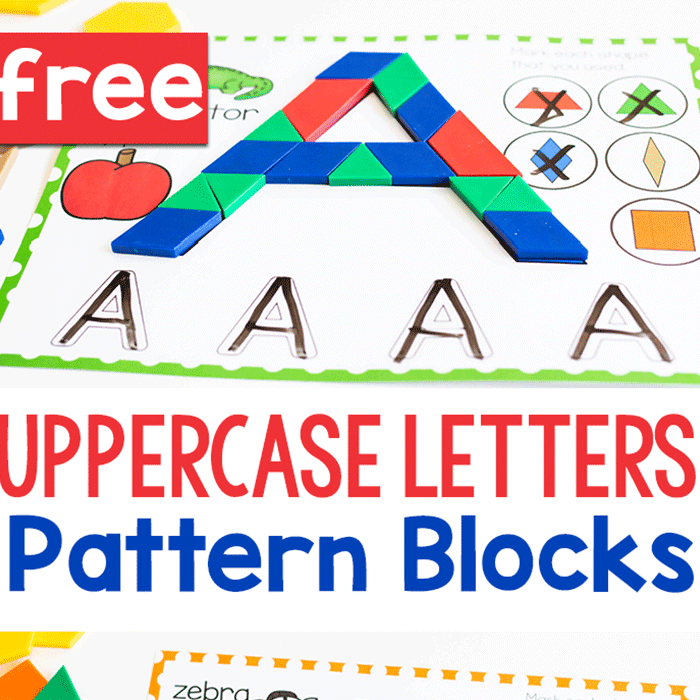 She has mastered the basic ABAB and AABB patterns and is ready for a bit more of a challenge. 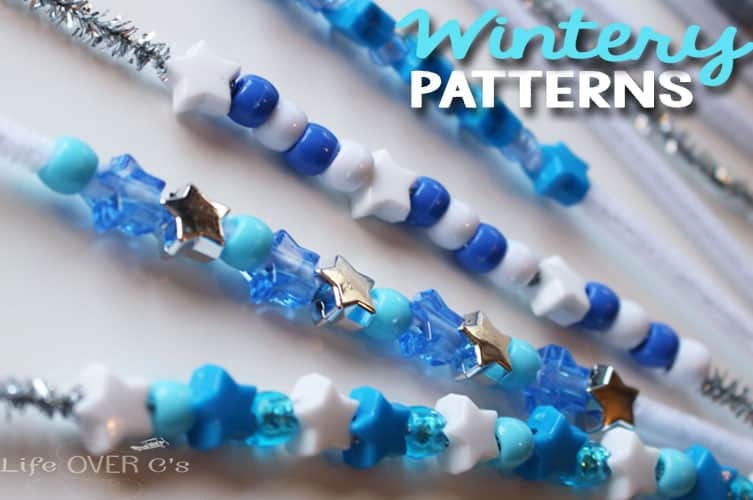 These complex winter patterns will be great to build on what she already knows, using a familiar format, but giving her a challenge with more variables. 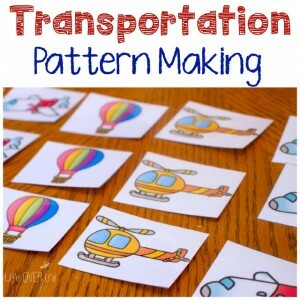 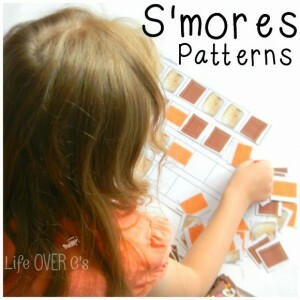 Print the pattern cards on card stock and/or laminate for durability. 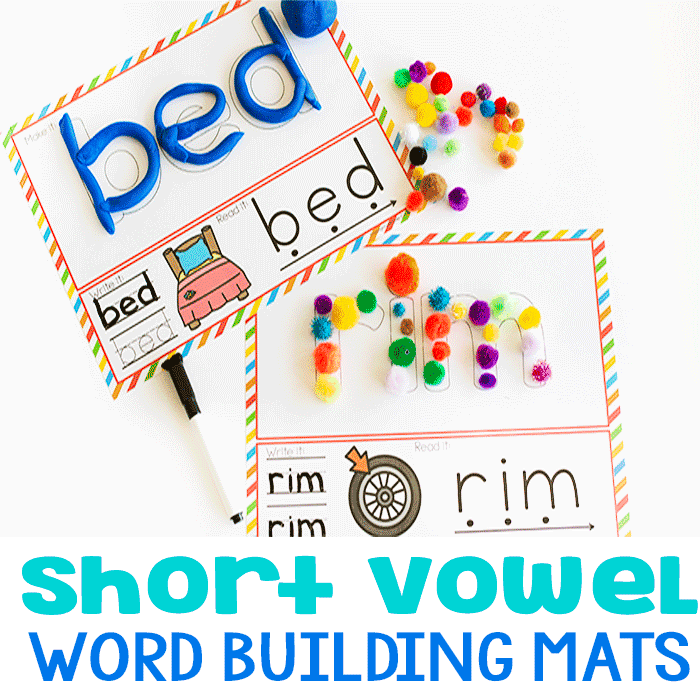 If you are only using them with one child or only want to use them once, you could print them on regular printer paper, but to use them more than once laminating is recommended. 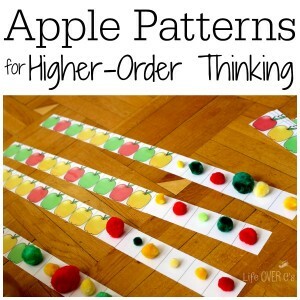 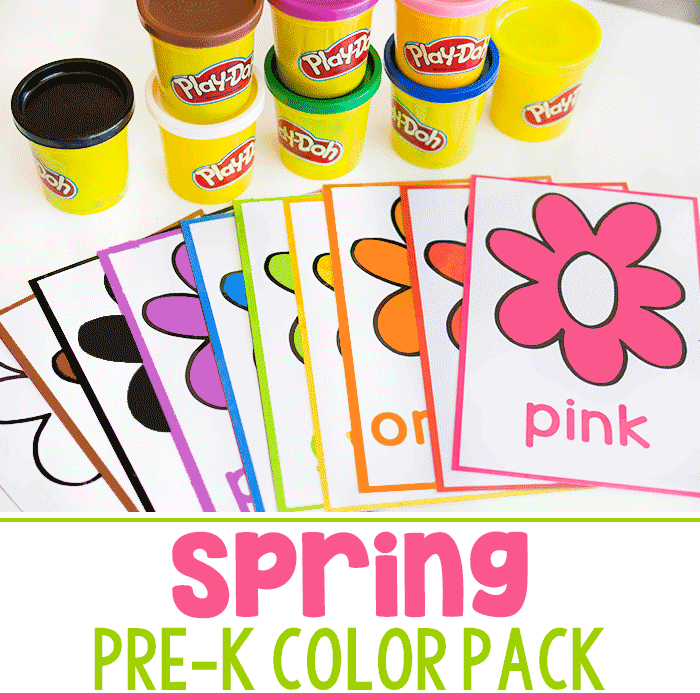 Have your child put one kind of bead on each colored circle at the top of the pattern card. 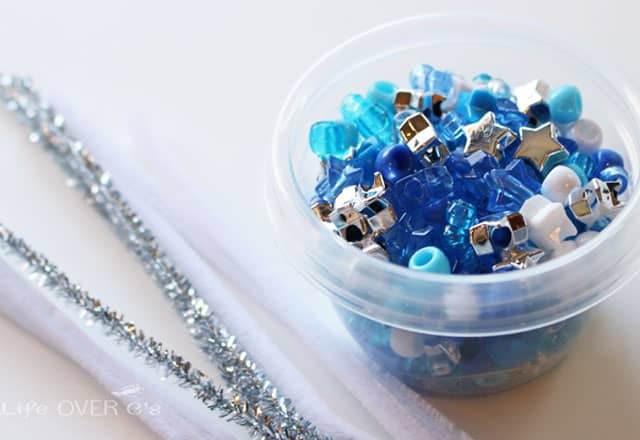 Then, follow the pattern by using the beads that are on the different colors. 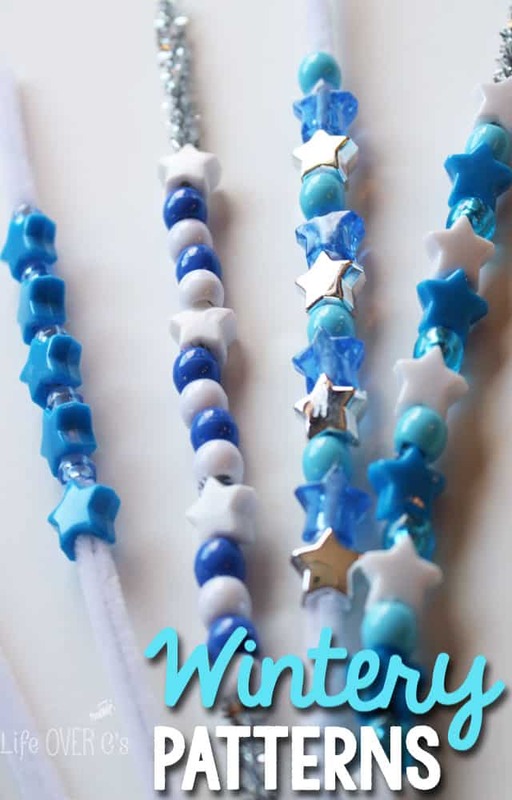 With these cards you can repeat the same type of pattern using different beads and have it be a completely different style. 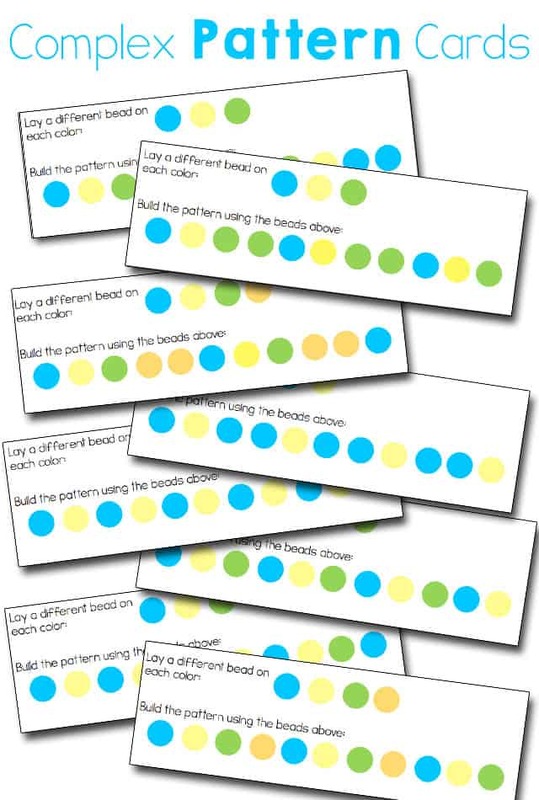 For ideas on how to use pattern building to work on skip counting check out another pattern busy bag that we did here.